Teenagers today have sms, twitter, facebook, email, chat rooms and blackberry messenger to correspond with friends. I had the classic landline, with its round dial and later its touch tone. I waited till college to have access to email (college students had email before professionals did in the 80s!). We used to rush home to our dorm rooms for our voice mail! But as a teenager, and up till I got married and had kids, I wrote letters. I bought pretty stationary and stickers to decorate envelopes. 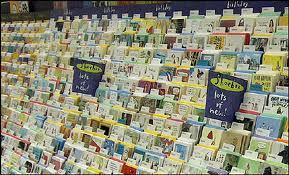 I shopped for Hallmark cards for hours and bought thoughtful postcards. I would use an applied cursive penmanship to write my letters. I wrote to cousins in Lebanon and in the USA. I had penpals around the world, from friends who'd left Dubai to camp bunk mates. I wrote to boys and girls, aunts and grandmother. My maternal grandmother and I had a twenty year long correspondence. It stopped whenI got overwhelmed with being a mother, and then I lost the habit of corresponding. We used to discuss books, movies, classes and vacations. I used to save the addresses of these friends and relatives in my filofax, with telephone numbers that were only house and office numbers. Very few people had mobiles. Few, like my father, had faxes. That is how I corresponded with my father at the time. When I got married, the first thing I bought was a rolodex. I always remembered my aunt had one, in the front hall, next to her house phone. In my rolodex, I jotted down every esential number, the way we add numbers into our blackberries today. The rolodex is in Geneva. I still use it. I think it remains handier than the most updated blackberry. And my habit of corresponding has translated into this blog. It is my way to share thoughts and memories with friends and family near and far....minus the stamps and the stickers!